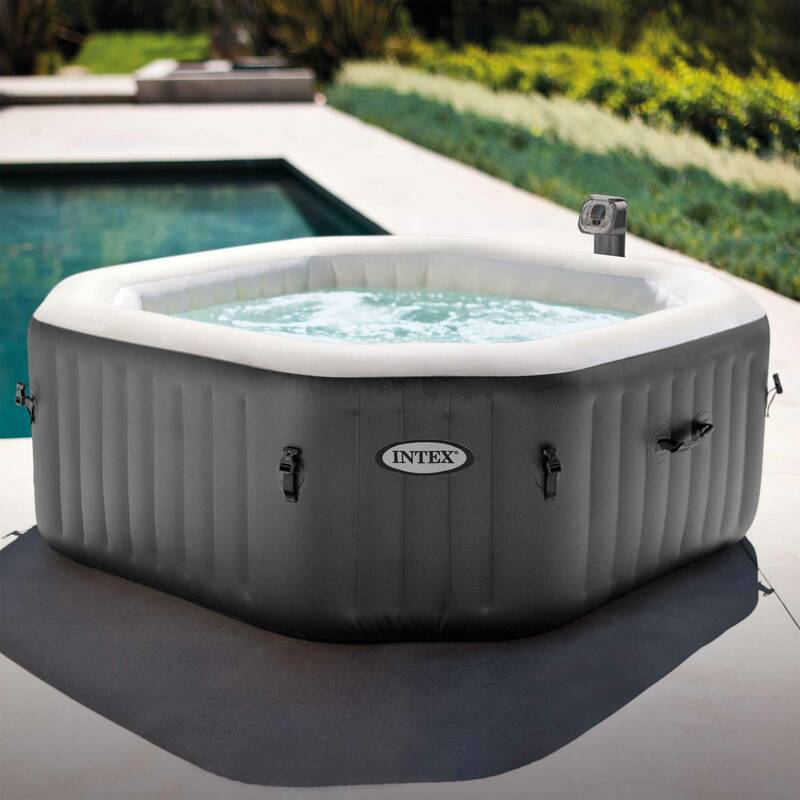 Last year Intex released an inflatable hot tub in octagonal shape which is suitable for up to 4 people, named Intex 120 Bubble Jets 4 Person Octagonal PureSpa. 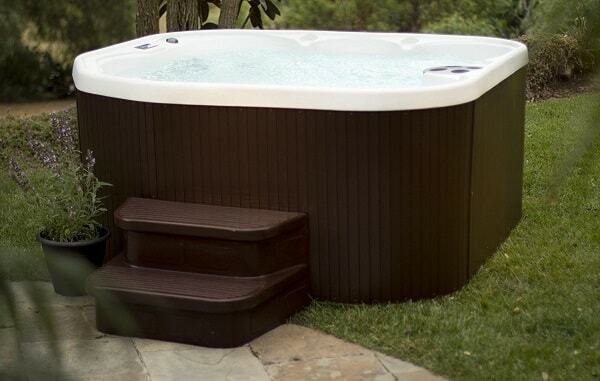 The tub really offers you a great deal with its great performance and attractive design. 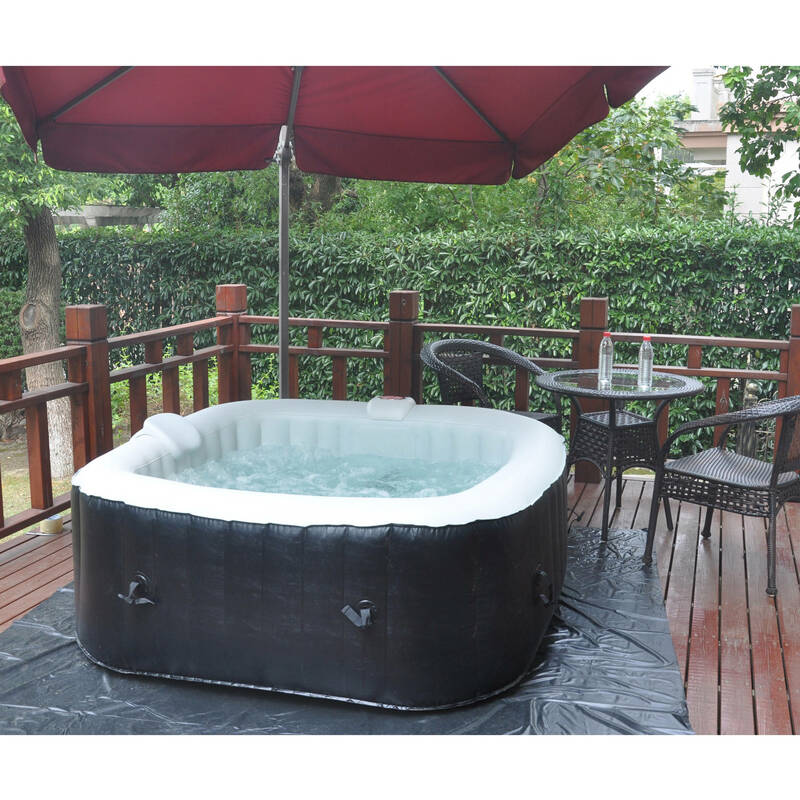 Without a doubt, many costumers have been satisfied with the quality of inflatable hot tub from Intex. 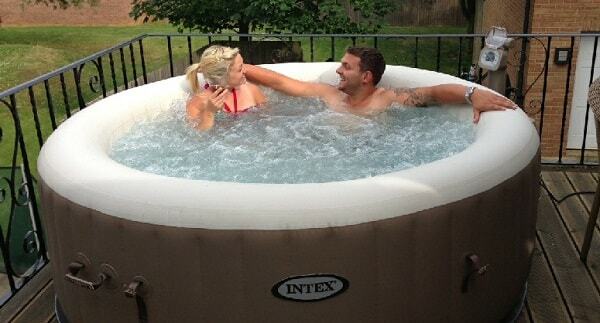 Intex 120 Bubble Jets 4 Person Octagonal PureSpa is surely a great choice. The model offers you several great features at a quite reasonable price. 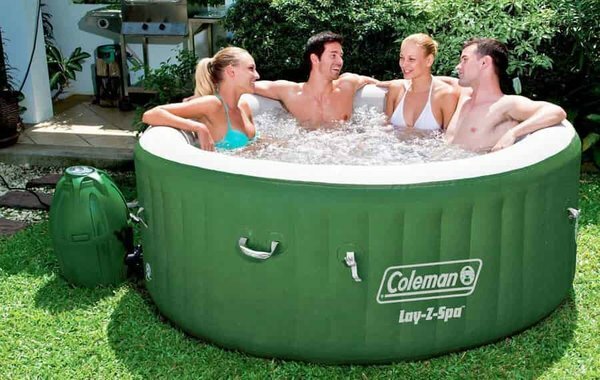 Let’s explore more about what this inflatable hot tub offers. 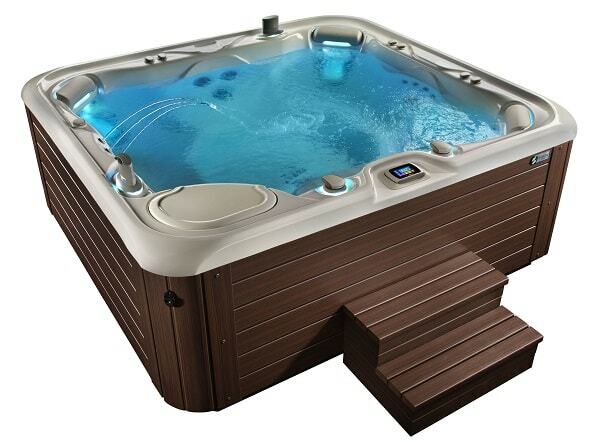 If most of the inflatable hot tubs are offered in round shape, this model is octagonal. It means that the tub has more spacious space that can fit up to 4 adult people to sit comfortably inside. The innovative octagonal shape also looks great to place in your backyard, giving you a more modern and sophisticated look of an inflatable spa. PureSpa Octagonal comes with 59 inches inner diameter and 28 inches depth, large enough for a convenient relaxing time with your family or friends. 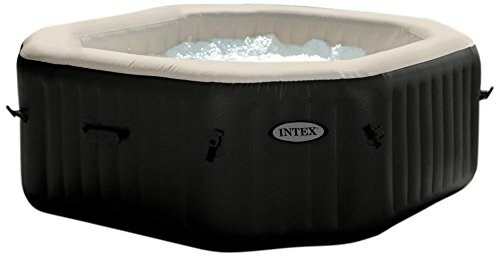 Intex has a good reputation in producing durable inflatable hot tub, and so with this model. The Fiber Tech construction with sturdy 3-ply laminated material makes the tub not only durable but also comfortable to use, even if you sit on the side of the tub. 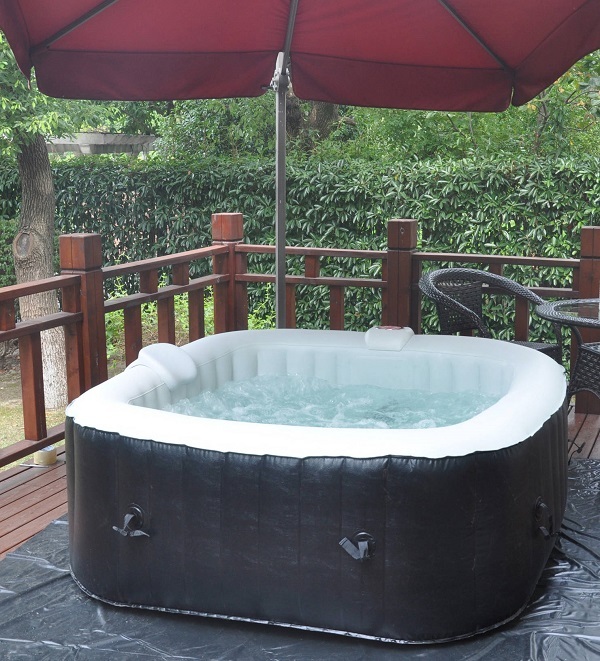 This octagonal inflatable hot tub is equipped with 4 powerful hydrotherapy jets and 120 bubble jets to give you the enjoyable spa experience. The jets can be adjusted easily through the control panel, by only touching the button. One incredible thing about the panel is that it is protected with transparent plastic cover to protect the panel from water and also child safety. For the heating, the tub can reach 104 degrees F maximum temperature with its 1,300 W heater. The temperature rise is around 2 to 3 degrees F per hour, it takes about 24 hours to reach the maximum level in 20 degrees F ambient temperature. The healthy water surely gives you the best spa sensation. For this, the built-in water treatment that can soften the hard water is provided, without costing you any extra job. Obviously, the tub is very easy to install, it can inflate by itself with the built-in pump. There is no need of tricky electrical installation, just simply plug the tub in and it is ready to go. The price of the tub is around $400, but Intex hot tub Walmart is offered in $373. 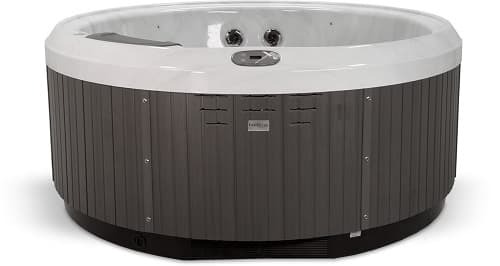 Intex 120 Bubble Jets 4 Person Octagonal PureSpa is surely a great choice if you are looking for reliable and also an affordable hot tub. The look that is different from conventional round spa is so attractive that is perfect to place anywhere you wish. The high powered jets with its well-proven water treatment system are very beneficial to support its hydrotherapy performance. You don’t also have to worry about the installation that doesn’t require any special or tricky jobs. It is such a great inflatable spa to give you fun relaxing time with friends and family or restoring your body and soul after rough weekdays. 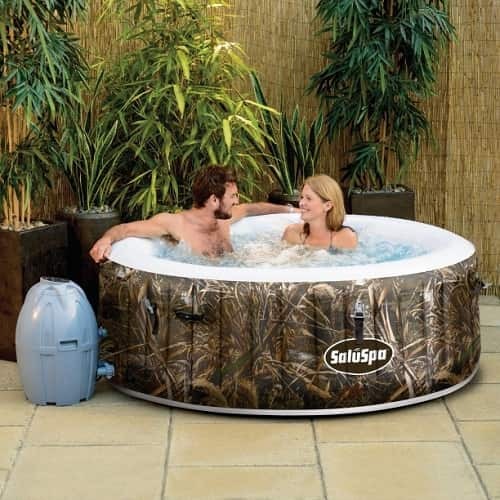 The price tag is a bit higher than the simple round inflatable hot tub. That is because the octagonal shape is more complex to build by the manufacturer. But having a beautiful spa in your backyard with out of the box design will just amaze everyone.